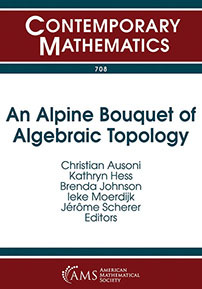 This volume contains the proceedings of the Alpine Algebraic and Applied Topology Conference, held from August 15–21, 2016, in Saas-Almagell, Switzerland. The papers cover a broad range of topics in modern algebraic topology, including the theory of highly structured ring spectra, infinity-categories and Segal spaces, equivariant homotopy theory, algebraic \(K\)-theory and topological cyclic, periodic, or Hochschild homology, intersection cohomology, and symplectic topology. Graduate students and research mathematicians interested in algebraic topology.